“Absurd” claims that solar panels devalue a property when it is on the market have been refuted by the Solar Trade Association (STA), with chief executive Paul Barwell telling Solar Power Portal “there is no factual evidence”. His comments follow an anecdotal study conducted by the National Association of Estate Agents (NAEA) Propertymark, which claimed that solar panels were among the “top things” which will devalue a home. The organisation said that while solar panels may save money on energy bills in the short-term, and they’re environmentally friendly, “the problem with technology is that it ages quickly, and it can be expensive to upgrade”. When asked to explain this view, SPP was told the claims were “not based on any evidence”, just anecdotal claims made by some of the organisations 11,000 members, although she could not say how many. “They're not solar panel experts at all…it is just anecdotal evidence from what they hear on the ground. There are the people that are buying and selling homes all day every day, they are the professionals in that and it's what they are seeing. “It's all based on buyers' views, if they don't want something that's got solar panels on it that is therefore going to devalue the home." "There is no factual evidence to suggest that having solar on your roof should devalue your home,” Barwell said in response. “The reality is that the value of your home should almost certainly go up because you're going to be retaining nearly 20 years of a feed-in tariff if it was installed in 2012,” he added. “It is perhaps understandable why some poorly sighted older systems might not look that great but the reality is they’re not looking at the bigger picture because with that home goes £20,000 worth of future FiT. This is what has helped boost the industry to where it is today," he added. Dispelling the “absurd comment” around the supposed rapid aging of solar, Barwell said: “All the evidence that has been gathered over the years from panel manufacturers and inverter manufacturers is that panels are still operating at more than 90% efficiency after 20 years. “That is factual; it is the degradation that people now use for modelling new installations and certainly older installations are pretty much the same." While it is expected that inverters may face replacement over the lifetime of an installation, wiring, connections and roof mounting systems are readily designed to last over 20-30 years. “People should not be concerned over the length of time that panels will last; all of them were designed to last,” he added. 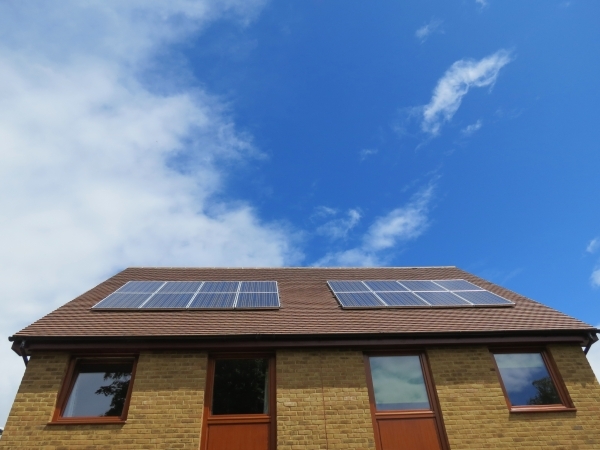 However, Barwell conceded that it is often the case that both new homeowners and estate agents lack the knowledge around existing solar installations when it comes to buying and selling homes with solar. The STA had previously attempted to publish an estate agent sales pack alongside the Royal Institution of Chartered Surveyors. With the backing of the then-Department of Energy and Climate Change (DECC), it would have provided the perimeters around how to pitch a solar property to a client, with the number of panels and date of installation tied to estimated FiT income and energy savings. However, RICS pulled out of the project and the resource was never made available. Barwell concluded: "If people don't know what the panels are doing on the roof then they may not want them but they're not given the economic reasons why the system is up there and how it might save on energy bills, as well as the environmental aspects. They're really missing the bigger picture."